Do you feel the dream effect of the stage laser light? In addition to professional-grade computer moving head lights and new LED stage lights, the stage lighting also has a stage laser light that is timeless and magical. Numerous light groups create a dreamy effect, whether it is a large indoor studio or a large outdoor plaza. The beam of the laser light is fatal to the human eye, and the greater the power, the more dangerous it is! A stationary green laser beam with a spot diameter of less than 2 mm and a power of more than 100 mW, if directly hitting a person's skin, has a burning sensation within a few seconds. When the same spot, a green laser beam with a power greater than 300 mW is directly shot onto the clothes, the clothes may be burned through within one minute. Therefore, you must never look directly at the stationary laser beam! During the laser show, the laser beam is scanned by the high-speed galvanometer. Although the power of the laser is relatively large, the laser power density per unit area after sweeping is very low, and it usually does not cause irreversible damage to the human eye. . However, if the laser beam suddenly stops during the normal scanning process due to a malfunction such as a circuit or a scanning galvanometer, and this laser beam is just incident on your eyes, it depends on how your luck is. Light, your vision is significantly reduced, the heavy, immediately blind! The laser show looks good, but it's dangerous! In order to solve this problem, developed countries such as Europe and the United States have developed a "laser scanning out of control protection" technology. When the laser light is equipped with this technology, when the laser beam stops scanning unexpectedly, the laser will be automatically turned off immediately. Therefore, in order to protect you and your customers' eyes, you must pay attention to whether this product has the "laser scan out of control protection" function when purchasing laser demonstration products, and to verify this function. There are currently two types of laser lamps on the market that are classified from scanning devices. One type is a simple beam scanning laser lamp, which is scanned by a low-speed stepper motor, and the effect is only a simple and repeated beam effect. The other type is galvanometer scanning lasers, which usually deliver text and animation. The galvanometer scanning laser lamp can be divided into low-speed text animation laser light of about 10Kpps and ILDA standard >30Kpps high-speed medium and high-speed text animation laser light. Low-speed galvanometer scanning lasers are usually not capable of delivering complex high-quality text or animations, nor can they produce "multi-pattern effects." Maocheng's high-end text animation laser light developed by >30Kpps high-speed galvanometer can not only deliver high-quality text and animation, but also deliver "multi-pattern effect" effect. Now many laser lights have a "sound control" function. This "sound control" is actually a very simple volume trigger laser playback function, the effect is simple and monotonous. 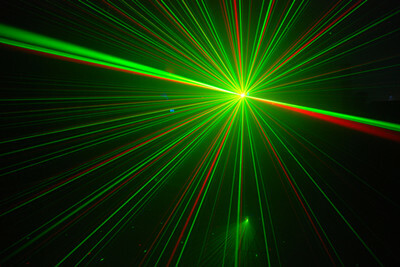 The "laser music synchronous synthesis play" is to synthesize the laser effect data and the music related rhythm data together, so that in the cooperation of the background music, the laser speeds and plays the music rhythm in an orderly manner, and the effect is usually The "sound control" effect can not be compared. 5、See if you have "multiple laser pattern stunts"
If the laser light or performance system has the "multi-pattern effect" function, it can be more effective. It can be simply said that such a single-head laser lamp can be combined with two ordinary single-head laser lamps. effect. 6、Look at the pros and cons of the performance of the "galvanometer"
The galvanometer is a key component that directly affects the quality of the pattern. Usually, a good galvanometer can deliver more text in the same fidelity; or in the same amount of text, the distortion of the text is small. A galvanometer that delivers high-quality text can also deliver high-quality, more powerful laser-effect patterns. Many laser lights on the market that claim to be "DMX512 control" basically have no programming function, just a simple pattern call, such a laser light usually has a monotonous effect. And "Multi-function DMX512 intelligent programming" provides powerful programming and pattern effect editing means. 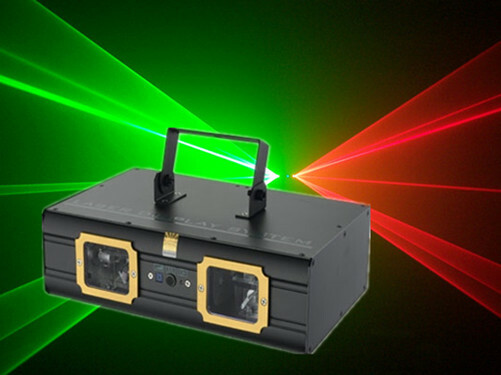 The laser light with such function can directly edit the laser scene effect and program through the DMX512 console, and can also bring the laser effect scene and the traditional stage. The lighting effects of the scenes are organically combined. In short, you can mix such laser lights with DMX512-controlled computer lights to achieve a perfect combination of laser effects and lighting effects. If the manufacturer of the laser light is not an ILDA member, then its products are usually not designed according to this standard, otherwise it will add a lot of cost. There are some optical reflective lenses inside the laser light. If there is no dust-proof sealing inside, dust and smoke oil will quickly contaminate the lens, so the reflection efficiency will be reduced. After the laser lamp is used for a period of time, it needs to be cleaned, otherwise the brightness will be It will become very dark. However, it is often cleaned, and the highly reflective film on the lens is destroyed and the reflection efficiency is lower. Therefore, the laser lamp without the dust-proof sealing method, although it feels good at the time of purchase, it does not take long, and may become very dark after 1-2 months. To determine whether a laser lamp has dust-proof measures, just look at the laser output port for a dust-proof glass. If not, it must be that the manufacturer did not take dust-proof measures in order to save costs. Such a laser lamp is actually very poor in cost performance because its actual service life is very short. Therefore, when purchasing a laser light, be sure to pay attention to whether there is dustproof measures. If you are a dealer or an engineering company, your customer will change the laser light in 1-2 months because of the decrease in laser brightness. Do you feel very trouble? At present, many manufacturers of laser lamps in China may be due to the lack of laser expertise, and often intentionally or unintentionally use false report (high) laser power to mislead customers to achieve sales promotion. 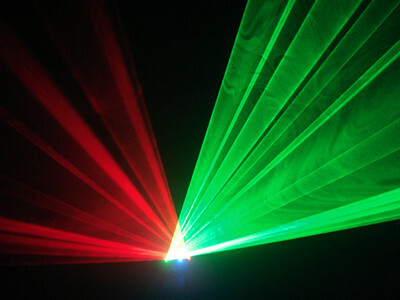 The 50mW laser is often nominally 100mW, and the 500mW green laser is nominally 1000mW. If you don't have laser expertise, experience or measurement tools, it is really difficult to identify the actual power of the laser. If you have doubts about the actual power of the laser, the easiest way is to compare the two lasers in the field, or consult the laser. The expert. Laser light has the advantages of bright color, high brightness, good directivity, long range and easy control. It looks more magical and dreamy, so it is generally used in buildings, parks, squares, theaters, various performances, etc. The non-divergent nature of the laser beam can attract people's attention as far as a few kilometers away, and the point of emission from the laser has become the focus of attention. If the laser light is placed in a high-rise or a mountaintop scenic spot, the beam will be directed into the distance, and a bright green light will appear in the air, which is very dazzling. The beam can swing up and down, and it can enjoy its magical and gorgeous appearance within a few kilometers. . If it is used outdoors, for example, laser light from a laser light is directed at a water curtain, a building or a wall, etc., the laser moves rapidly under the control of the scanning system to form characters, patterns, and the like for viewing. For indoor viewing, for example, laser lights are installed in theaters, nightclubs, dance halls and other places. With a certain amount of dry ice smoke, the laser beam is directed at the smoke and scanned, and text, graphics, and animation effects can be formed. You can also play a fierce laser show with music, and the bright colors are intoxicating! 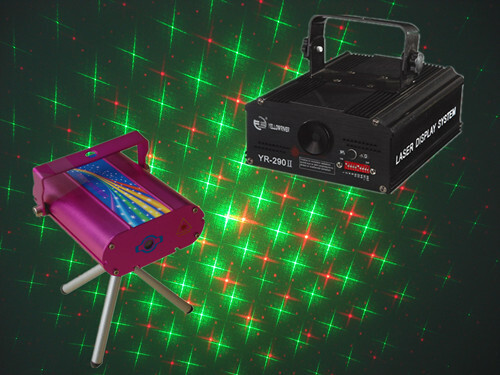 Of course, laser lights are most commonly used in nightclubs, dance halls, various performances, theaters, outdoor advertising and landmarks.